Oceana is calling on the Federal Government to implement a “simple solution” to ensure domestic, wild-caught shrimp are more sustainably caught. 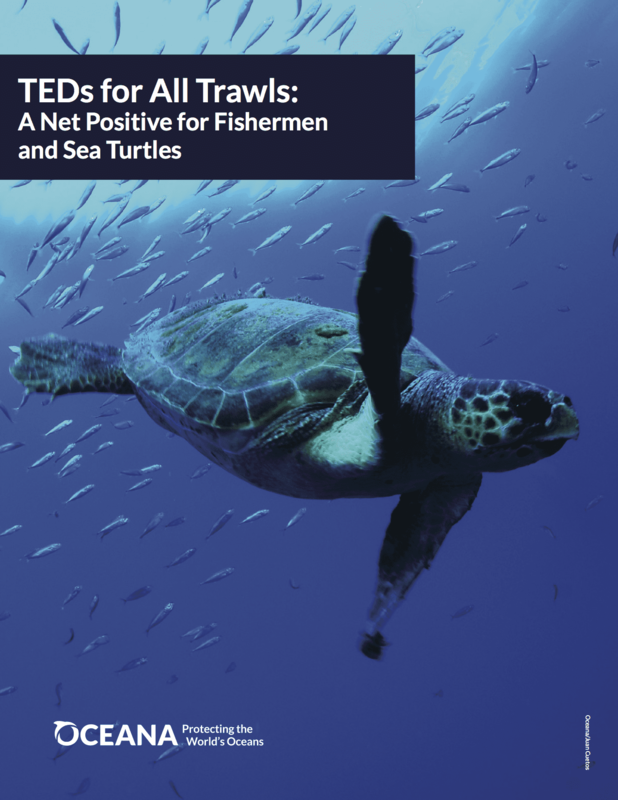 By requiring the use of improved Turtle Excluder Devices (TEDs) – metal grates inserted into shrimp nets that allow sea turtles and other ocean wildlife to escape – the Trump administration has the opportunity to save thousands of sea turtles, reduce wasted seafood and open new markets to U.S. shrimpers. While many shrimp boats in the Southeast have been required to use TEDs since the 1980s, about 5,500 skimmer trawls in the region are currently exempt. In 2013 alone, the Gulf of Mexico shrimp trawl fishery discarded an estimated 242 million pounds of seafood and ocean wildlife – about 62 percent of its total catch. This wasted catch would equate to more than $350 million in value, if the fish were of marketable size. Photos available upon request. Please contact Amelia and Dustin.